“I am doing what a woman can hardly ever do . . . , ” wrote British world traveler Isabella Bird in an 1872 letter from Hawaii. “And I can fall, I can fall into anything.” San Francisco Bay Area composer, acoustic bassist, and bandleader, Lisa Mezzacappa used those lines – and more from the writings of Bird and other women adventurers of the 19th and early 20th centuries – to fashion lyrics for her ten-part “panoramic song cycle for improvisers.” Sung by the extraordinary vocalist Fay Victor, those two lines might also be taken to reflect Mezzacappa’s place in the world of progressive and avant-garde jazz. Mezzacappa has written that initial inspiration for her work “comes from a messy, unfocused, overwhelming, brilliant, seductive, and terrifying pool of sensations, ideas, gut reactions, intellectual concerns, moral ambiguities.” From that pool has bubbled up something that retains many of those qualities, but that also manifests focus, chemistry, communication, and an emergent sense of both order and transcendence. Glorious Ravage is a musical exploration of what is possible. Soaring with it can trigger an experience of the sublime, similar to the altitude sickness that Isabella Bird, Ida Pfeiffer, and Annie Smith Peck fell into during their lofty adventures, an ecstatic mind state South Americans called veta or soroche. 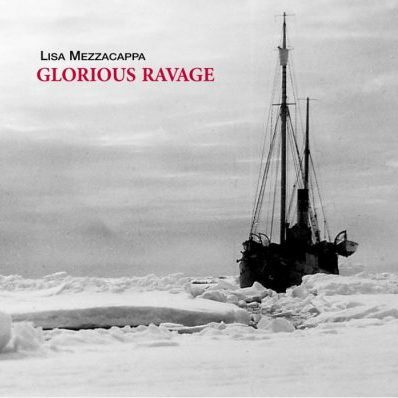 When Bird wrote in her letter from Hawaii, “This is the height of the last and most glorious ravage,” she could not have foreseen that Lisa Mezzacappa would bring us another of equal magnificence.